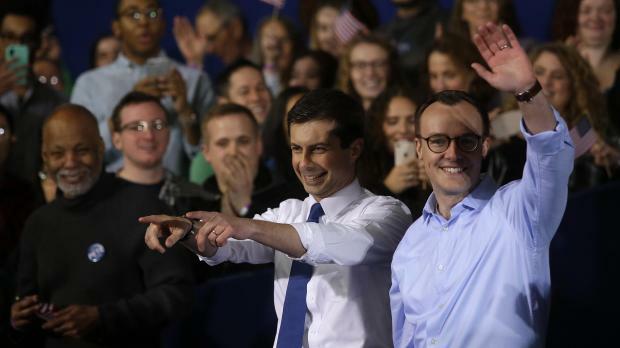 South Bend Mayor Pete Buttigieg (L) acknowledges attendees with his husband Chasten Buttigieg after announcing his presidential candidacy. 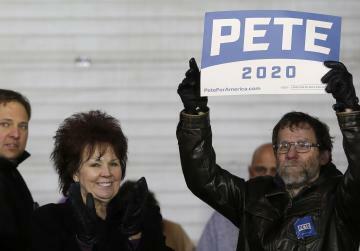 Pete Buttigieg, the liberal mayor of a small American city in the conservative bastion of Indiana, officially launched his presidential bid Sunday, joining a crowded field of Democrats vying for their party's nomination in 2020. "There's a lot of candidates. I don't want to make up my mind so soon, almost a year before the primaries," Corbin said. "But he's definitely my favourite right now."